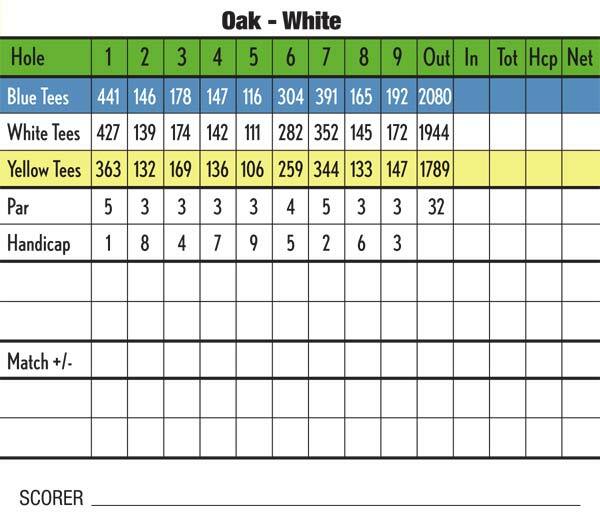 A par 32, 2080 yard test, the oak course is a favorite amongst the staff at Oak Gables. 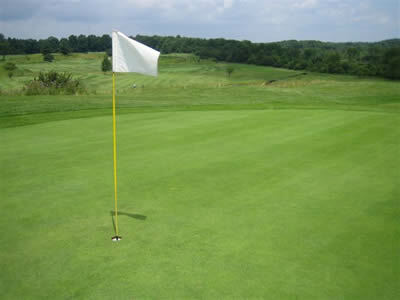 Its variety of Par 3 holes gives the golfer a chance to use all the clubs in their bag. The stretch of par 3 holes tests the short game as well as the long irons where precision is crucial. If you can survive the difficult dog leg par 5 first hole you know you are on your way to a great round and even better day!